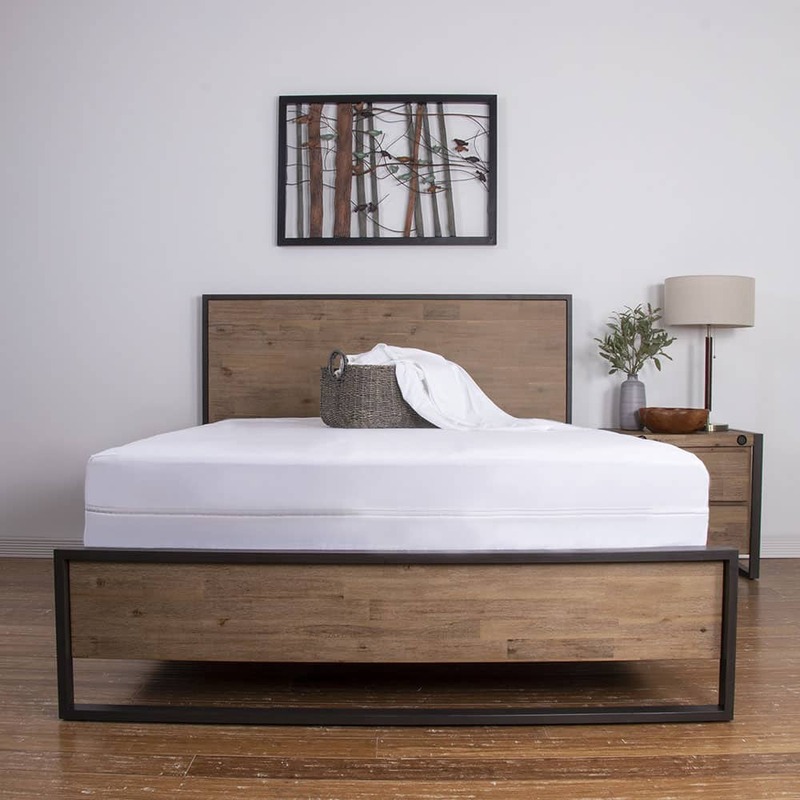 Mattress retailer Brooklyn Bedding now offers a mattress protector online that provides 360-degree protection from all types of fluids, dust mites, bed bugs, and bacteria, says the brand. The encasement protector was originally offered exclusively in Brooklyn Bedding stores before becoming available online this month. Dimond told us that because the brand received so many positive comments and sold so many encasement protectors in stores, they knew there would be a strong market for 360° protection nationwide. “Obviously, selling the product online allows us to now bring full mattress protection to virtually every bedroom in the country,” she said. In addition to warding off fluids and bed bugs, the company says the 100 percent polyester protector is hypoallergenic and waterproof and features a unique zip-tight enclosure that offers premium protection. In a press release, Brooklyn Bedding says the protector fabric is breathable and will not change the overall feel of any mattress, including ones that have cooling benefits. It is also machine washable and made to resist shrinkage. The well-known mattress retailer was in the news earlier this year when they launched a discount for all military members on all of their sleep products. The 25 percent off offer is available to those with military credentials, including veterans, active duty military, National Guard, and military spouses and dependents, the brand said. Earlier in July, the company extended its discount to include law enforcement officers, firefighters, and Emergency Medical Technicians (EMTs) in addition to military members. The Encasement Mattress Protector is available online at BrooklynBedding.com or in the company’s showrooms. The encasement protector costs $89 for Twin, Twin XL, and Full sized mattresses and $99 for Queen, King, and California King sized beds. It comes with a 120-day trial. Right now, customers can find two types of mattress protectors for sale at BrooklynBedding.com. Dimond says the company is planning on launching several more products online to meet the broader sleep needs of their customers. This post has been updated to include quotes from a Brooklyn Bedding representative.